Are made of the material with water-repellent impregnation stitched on all length. Two layers of batting, inside fur fabric. The heel is strengthened by a leather substitute. 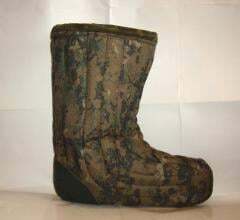 Can be completed with galoshes. 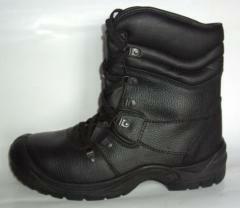 High leather boots on PU to a sole of a molding method of fastening; with a metal subsock; antiprokolny plate; kisloto-shcheloche-and oil - a petrol-resistant, antistatic sole; udarosmyagchayushchy heel. Degree of protection of S3. 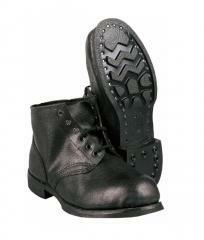 Boots leather on PU to a sole of a molding method of fastening; with a metal subsock; antiprokolny plate; kisloto-shcheloche-and oil - a petrol-resistant, antistatic sole; udarosmyagchayushchy heel. 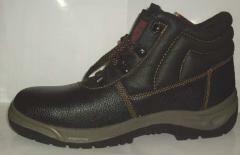 Boots leather on PU to a sole of a molding method of fastening; with a metal subsock; antiprokolny plate; kisloto-shcheloche-and oil - a petrol-resistant, antistatic sole; udarosmyagchayushchy heel. Class of protection S1. Boots leather on PU to a sole of a molding method of fastening; acid — alkalis — and oil - a petrol-resistant, antistatic sole; udarosmyagchayushchy heel. Class of protection S1. 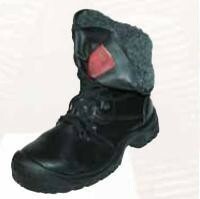 The high leather boots warmed on artificial fur, on PU to a sole of a molding method of fastening; with a metal subsock; antiprokolny plate; acid — alkalis — and a maslobenzostoyky, antistatic sole; udarosmyagchayushchy heel. Degree of protection of S3. 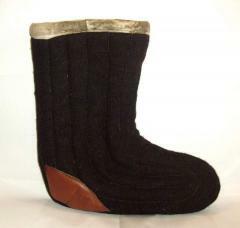 Are made of the black felt material stitched on all length. Two layers of batting, inside fur fabric. The heel is strengthened by a leather substitute. Can be completed with galoshes. 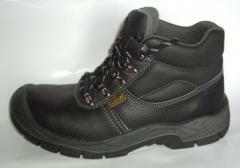 Unbelievable price on Work shoes in Kharkov (Ukraine) company APS-SPECODEZhDA, OOO. Wide choice of quality products at affordable prices.